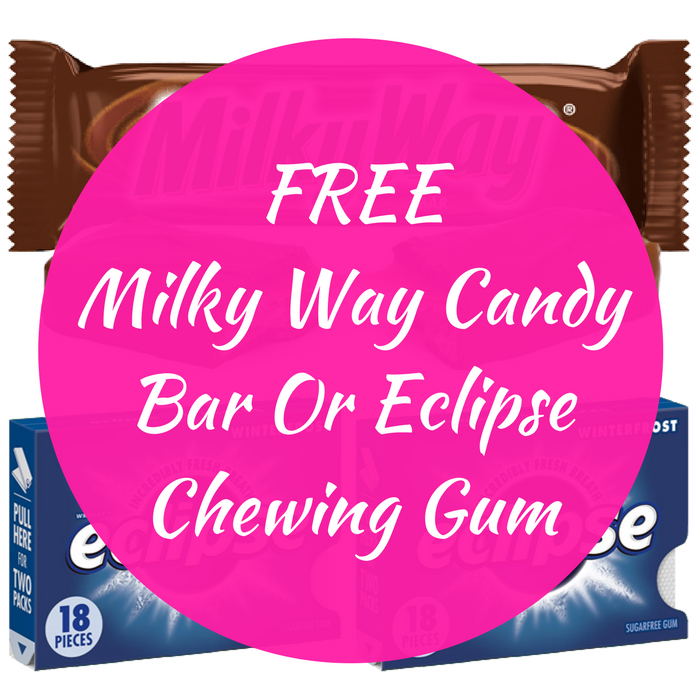 FREE Milky Way Candy Bar Or Eclipse Chewing Gum! You are here: Home / FREEbies / FREE Milky Way Candy Bar Or Eclipse Chewing Gum! On August 21 to 25 only! In celebration of the total solar eclipse on Monday, Pilot Flying J Travel Centers will be offering their guests a FREE standard size Milky Way Candy Bar or Pack of Eclipse Chewing Gum when purchasing any beverage in-store (excluding alcohol). This offer is available in the myOffers section of the myPilot mobile app.